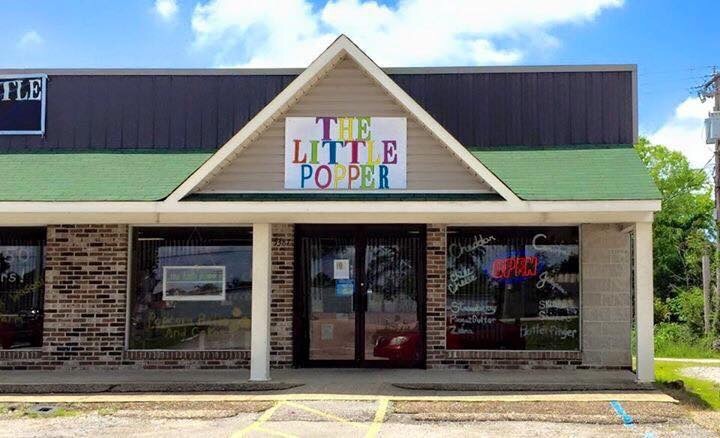 THE LITTLE POPPER @ 5335 Cliff Gookin Blvd, Tupelo, MS. Open Mon-Fri 10am-6pm, Sat 10am-4pm. 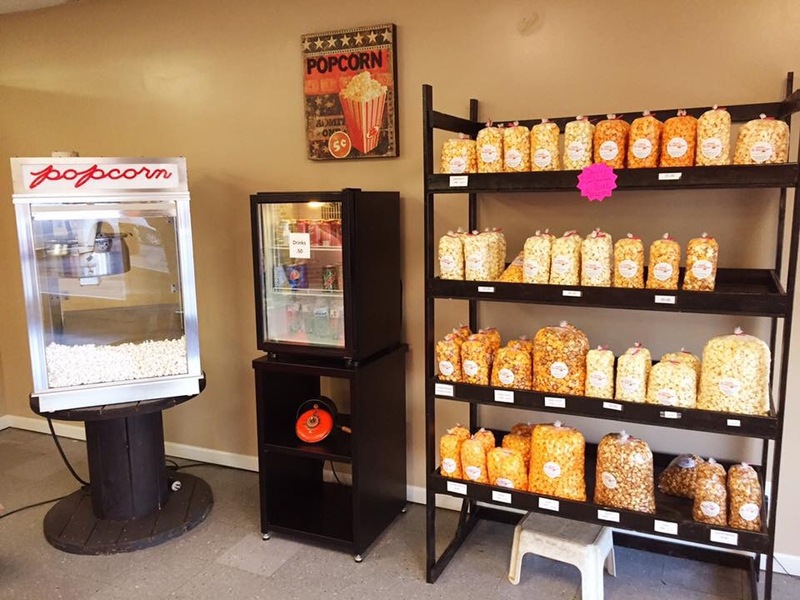 With over 50 popcorn flavors, plus special combination requests, your choices are only limited by your imagination! If you feel overwhelmed by the selections, don’t! 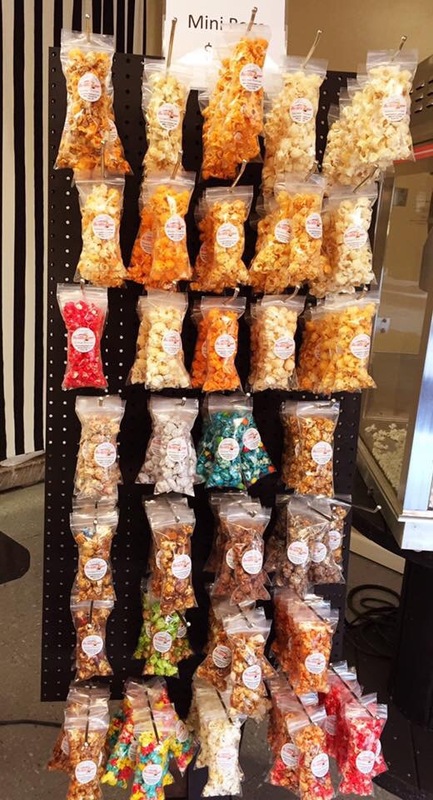 They offer a wall full of small sample bags for purchase and occasionally, a few samples to try before you buy. Halloween, Christmas, birthdays, fundraising, or just hanging out watching a movie, go hand in hand with the Little Popper! 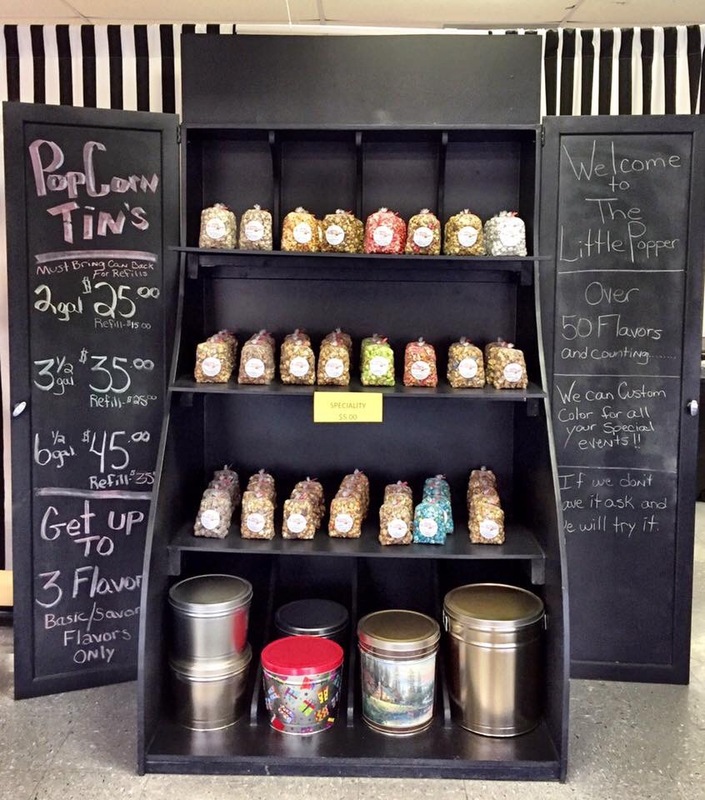 They have several bag sizes to choose from including specialty tins that make great gifts! 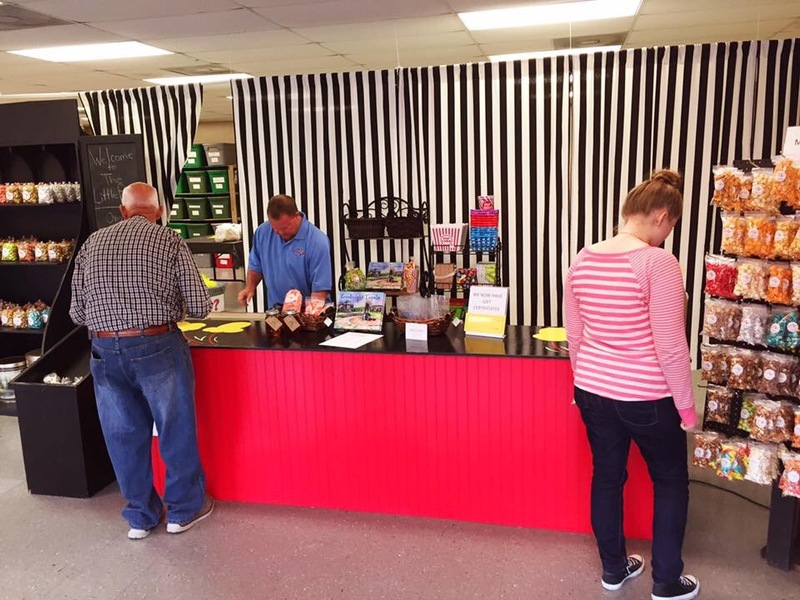 Just imagine someone opening a tin, and instead of the traditional 3 flavors, they discover a tub of any of their specialty items! 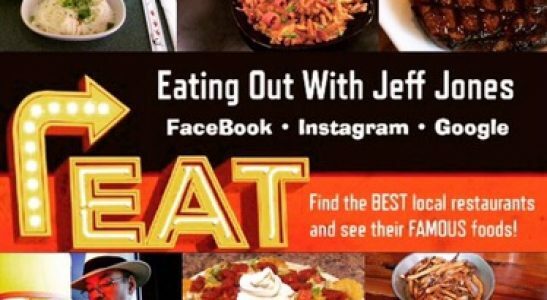 Personally, I love the garlic, puppy chow, and muddy gravel flavors. But then, I also I enjoy other flavor choices like banana split, peanut butter cup, and some of the spicer selections. Heck, I don’t think I’ve found a flavor yet that isn’t awesome! 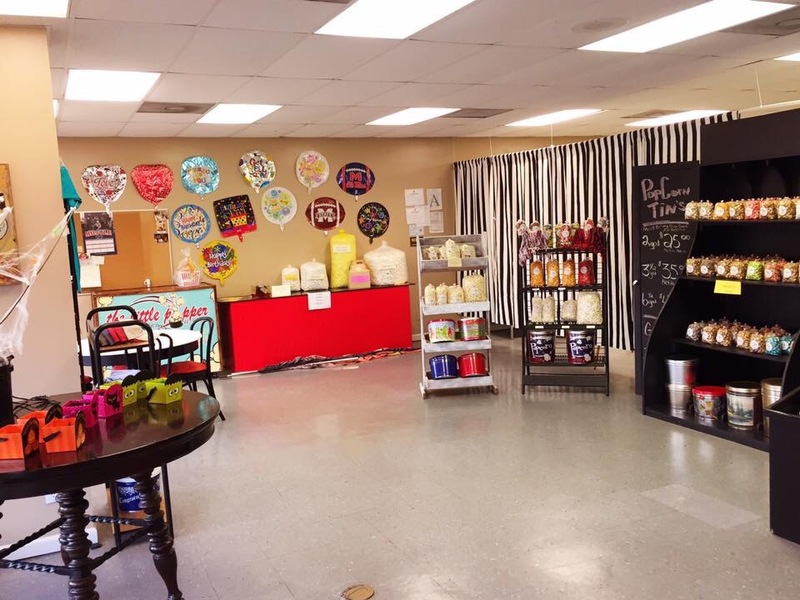 Locally owned and family ran, the Little popper should be on everyone’s list for gourmet popcorn and everyday snack treats!